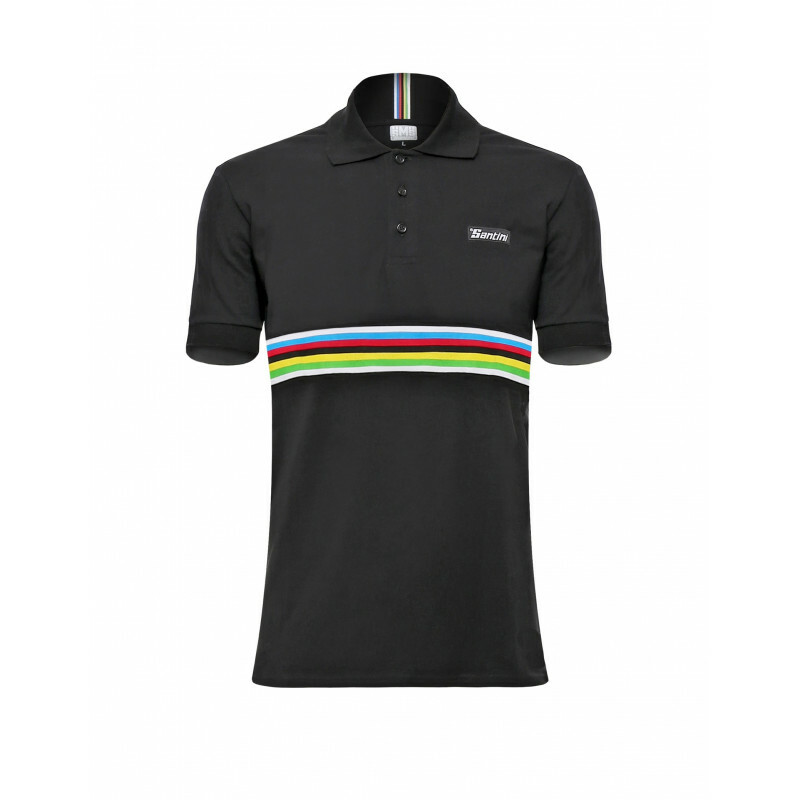 Short sleeve cotton piquest polo shirt. 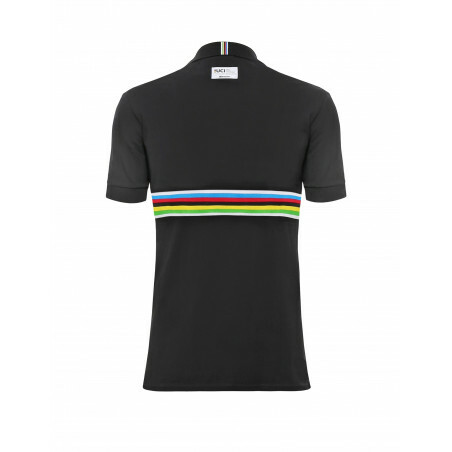 UCI design. Perfect for your spare time! Ideal to be dressed in all situations, this handy soft cotton shirt sleeve polo of our UCI line is ideal for your relaxing moments. 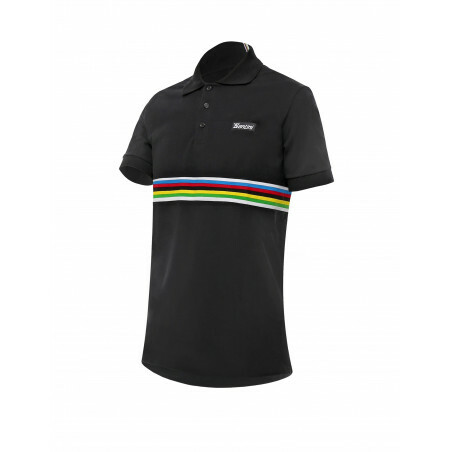 Enriched by a classic polo collar with buttons and an insert with rainbow colors on the chest, printed in serigraphy, on the back of the collar it presents a detail with the typical rainbow stripe of the world champions. With UCI official label on the back.